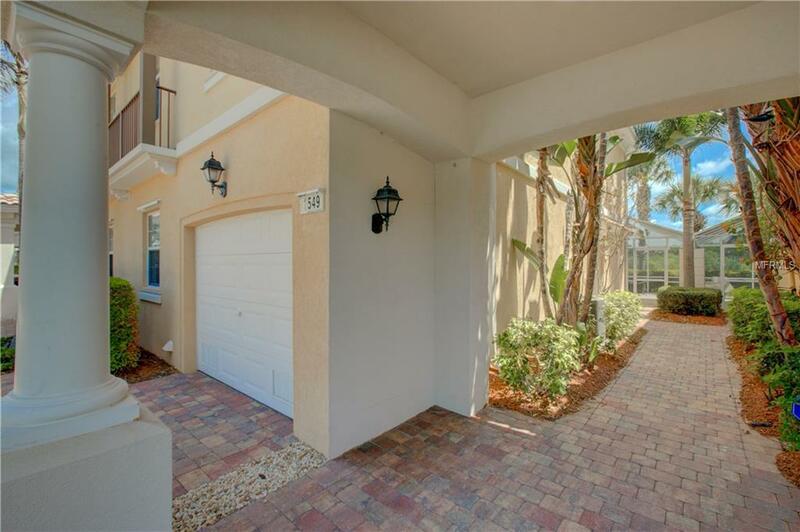 Within the amenity-rich community of The Isles of Sarasota, you will find this spacious 3 bed, 2 bath,townhome .This wonderful ground maintenance-free home is designed for your convenience and comfort. There is an open floor plan downstairs with double sliding glass doors to the oversized screened patio. The clean bright kitchen is well-equipped with solid surface counters, breakfast bar and plenty of cabinet space. Enjoy the open feel and outdoor views from the ground floor living area. A split plan design with master suite, plus 2 additional bedrooms, on the second level provide plenty of space and privacy. A pretty brick paver drive, covered walkway, attached garage, hurricane shutters, central vacuum and inside utility room are all part of the package. Take a walk through the manicured grounds, just a short distance to the community center with heated lagoon pool, tennis, pickleball, bocce, basketball, fitness center and village clubhouse, where there are many social activities available. And this central Sarasota address means you are within easy distance of Sarasotas Downtown, nearby shopping, restaurants, parks and the gorgeous Gulf beaches. This is the perfect home from which to craft your ideal Florida life. Pet Restrictions There Are No Restrictions On Number Of Household Pets Or Size Limit. If Any Pet is Deemed A 'Nuisance' Then The Hoa Can Enforce Removal.